A shiny unicorn statue, coated in gold and palladium. ForeScout, a 16-year-old cybersecurity firm based in Campbell, Calif. with offices in Israel, has raised $76 million in what will likely be the company’s final round of funding before it pursues an initial public offering. The lead investor is Wellington Management, a mutual fund manager based in Boston, Mass. ForeScout’s latest round of financing vaults the company into the coveted “unicorn” club, a burgeoning pack of venture capital-backed companies with billion-dollar valuations. As part of the late-stage injection, investors have appraised the firm at $1 billion; other “unicorns” in the cybersecurity category include Tanium, Okta, Illumio, Avast, Lookout, and Zscaler. 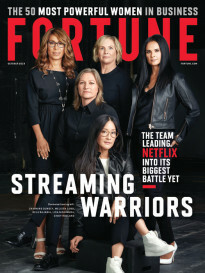 Michael DeCesare, ForeScout CEO and former president of Intel’s (intc) security division McAfee, tells Fortune that the business is “very close to being profitable.” He says that last year was the company’s best year yet, and that it has barreled along at a 50% compounded annual growth rate since 2012. 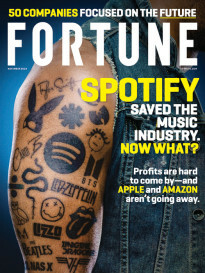 “Nearly every attack we’ve written about at FireEye and Mandiant has been about stealing credentials—gaining credentials through spear-phishing—and about stealing access,” DeWalt tells Fortune, conveying why he’s bullish on ForeScout’s business. In fact, DeWalt last year made an investment in the company himself, though he declines to reveal the sum. If ForeScout goes public this year, the firm may follow the lead of other Israeli cybersecurity companies that have pulled off successful IPOs recently, including CyberArk (cybr). The Israeli tech giant Check Point (chkp), founded in the ’90s, remains the industry segment’s poster child.